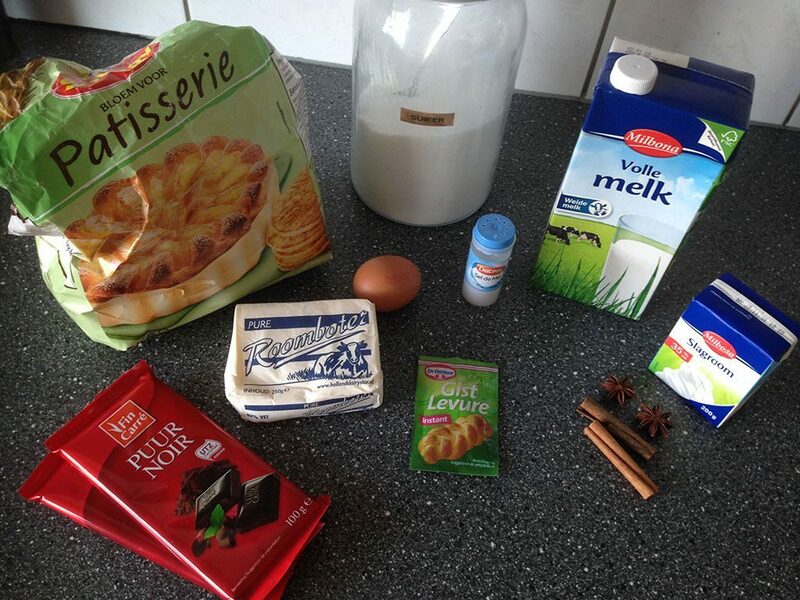 Start with flavoring the milk, here for you slowly HEAT the milk along with 2 cinnamon stick and 2 star anise. Let the milk cool off completely and then REMOVE the cinnamon and star anise. MELT 2 tablespoons of butter and set aside. COMBINE lukewarm water with sugar and yeast to activate the yeast, and wait until it becomes foamy. COMBINE an egg with a pinch of salt and the flavorful milk. 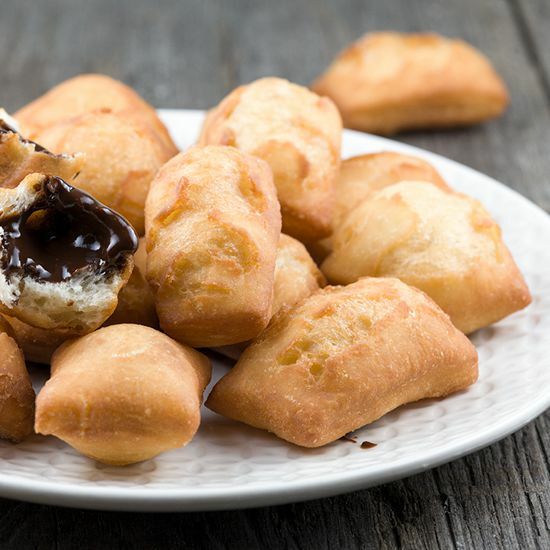 ADD the yeast mixture and gradually ADD the flour until you’ve formed a dough ball. COVER with cling film and let it rise for about an hour, or until doubled in size. While the dough is resting you can make the chocolate filling in the small saucepan you’ve used for the milk. HEAT the dark chocolate and cream along with 2 tablespoons of butter on low heat. STIR until it’s a smooth mixture and set aside. HEAT frying oil in the heavy bottomed pan. DUST your work surface with flour and roll out the dough, but not too thin. 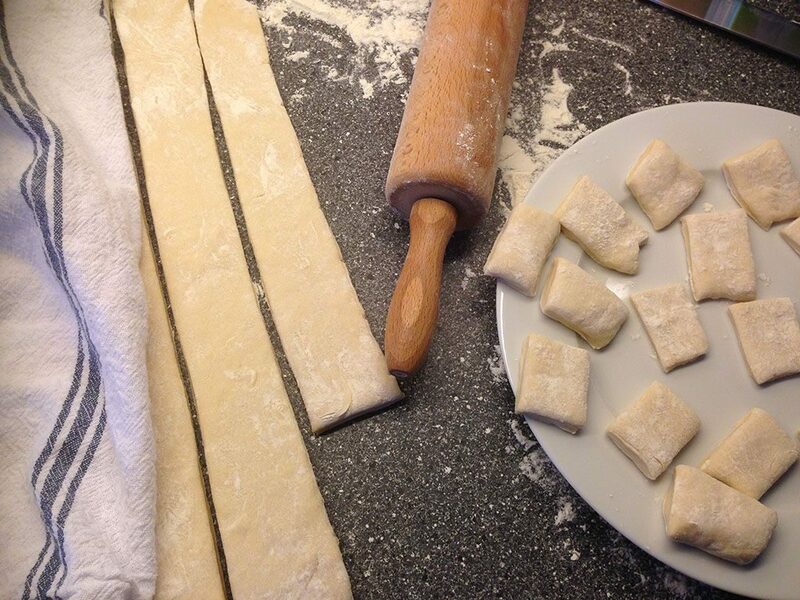 DIVIDE the dough into strips and then into squares. FRY the squares for a few minutes on both sides, until they’re beautiful golden brown and TRANSFER them to paper kitchen towels. REPEAT until you’ve used all the dough. 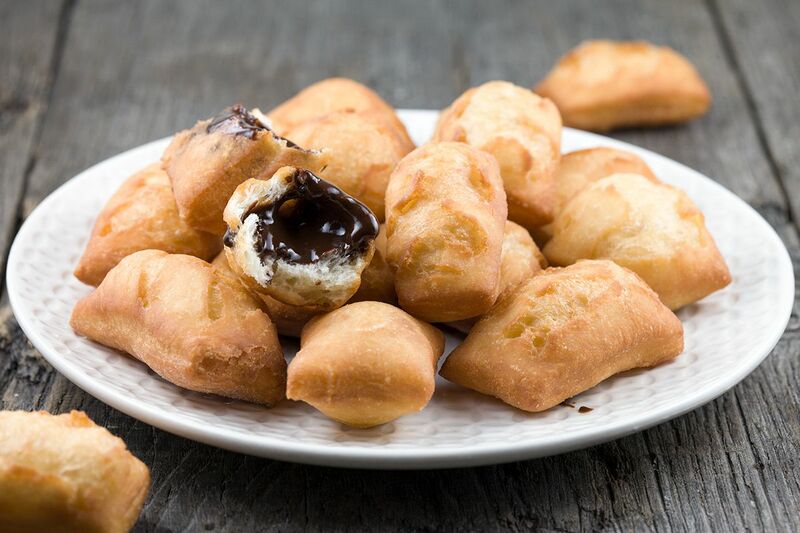 Let the beignets cool off a bit before you fill them with chocolate. 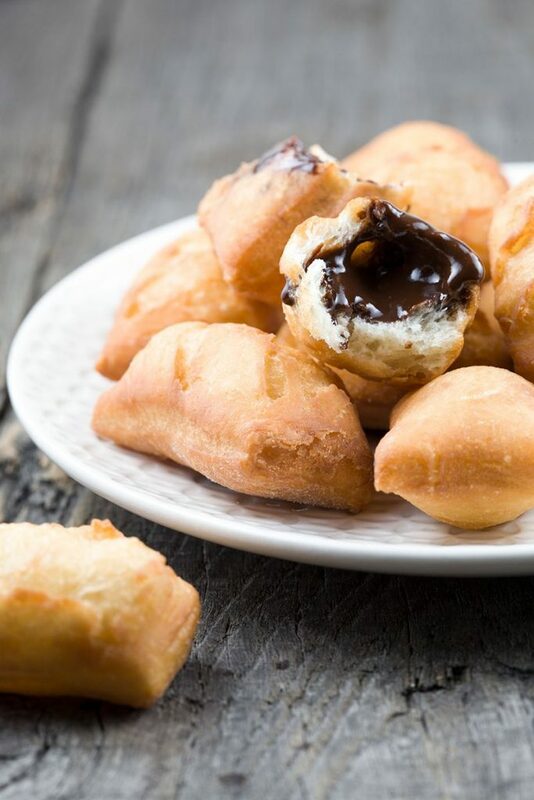 Use a small knife to make a small opening at the bottom and fill them with chocolate, the easiest way is using a piping-bag without nozzle. Enjoy!